For rugby, leisure or business, Rugby Division's Branded Rugby Training Backpack takes care of your essentials. With a main zipped compartment and a smaller one over the front, there's plenty of space for all your kit and the backpack is ready for any action. Inside the spacious main area is a small pocket which is ideal for looking after items such as your mobile, keys and loose change. Making light work of any load, the bag includes adjustable shoulder straps along with carry handle on the top. 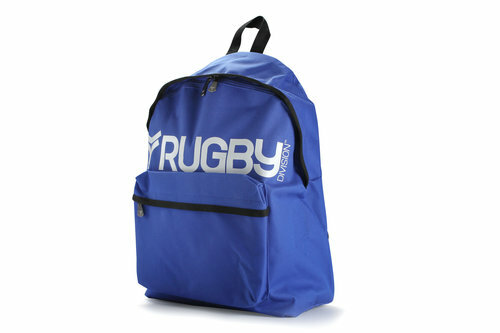 This backpack measures 44cm x 31cm x 21cm.